International Journal of Research in Health Sciences,2013,1,3,239-243. Assistant Professor, Department of Microbiology, Government Medical College, Ananthapur, Andhra Pradesh, INDIA. Background: The complaint of vaginal discharge is very common, particularly in India, it is associated with considerable disability, health seeking, and associated costs. Objective: To estimate the hospital based prevalence of vaginal discharge, to find out socio-demographic variables associated with the complaint of vaginal discharge, among the women of reproductive age. Materials and Methods: 200 women attending to Gynaecological OP with the complaint of vaginal discharge of one week or more were selected as study group along with a control group of 50 women with complaints other than vaginal discharge. All the cases were selected from Out patient (OP) of Gynecology department in Narayana Hospital, Nellore. The study period was two years. Results: The age range varied from 19 to 47. 50% of patients were in 21 – 30 yrs age group. 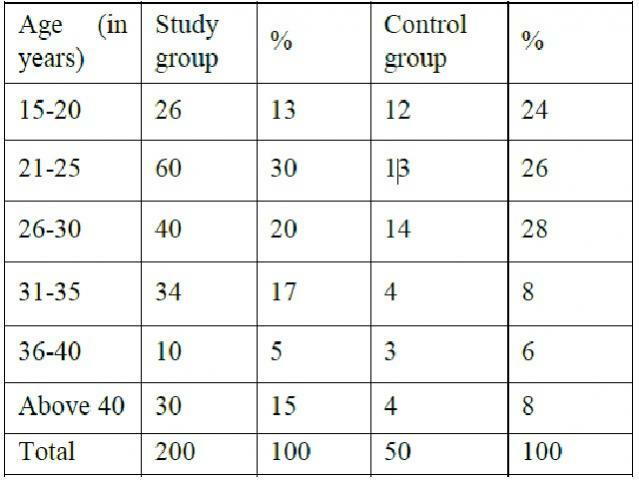 60% of study group belongs to urban area followed by 40% belongs to rural area and in control group 24% and 76%. Maximum incidence of vaginal discharge was noted in 61% of women who belongs to low socio economic and 39% of women belongs to high socio economic in study group followed by 76% belongs to low socio economic & 24% belongs to high socio economic status in control group. Conclusion: Leucorrhoea is a common complaint in women of child bearing age. Asymptomatic cases of Bacterial vaginosis are more common and women are less likely to seek treatment for the morbidity and thus are more likely to acquire other serious STI’s. In view of this it is suggested that women attending antenatal and gynaecology clinics or family planning clinic should be screened and treated for BV cases to reduce risk of other STI.